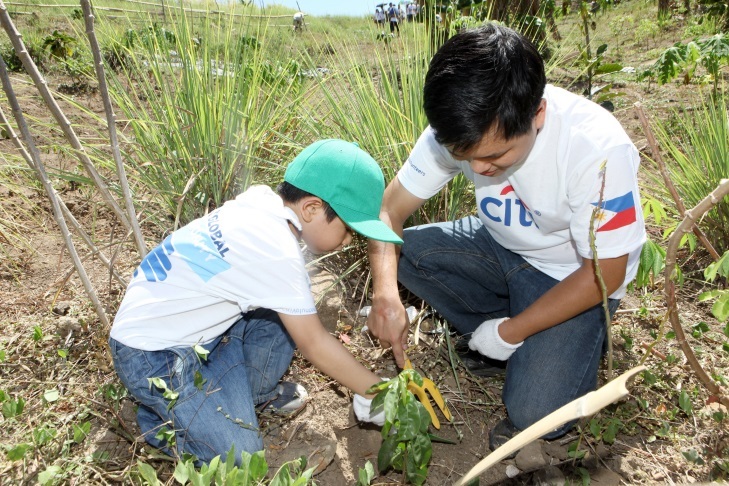 “Global Community Day is a unique opportunity for all of us in Citi to convey a simple yet powerful message -- that through volunteerism, Citi employees are committed to making a positive impact in the local community globally,” said Citi Philippines CEO Batara Sianturi. 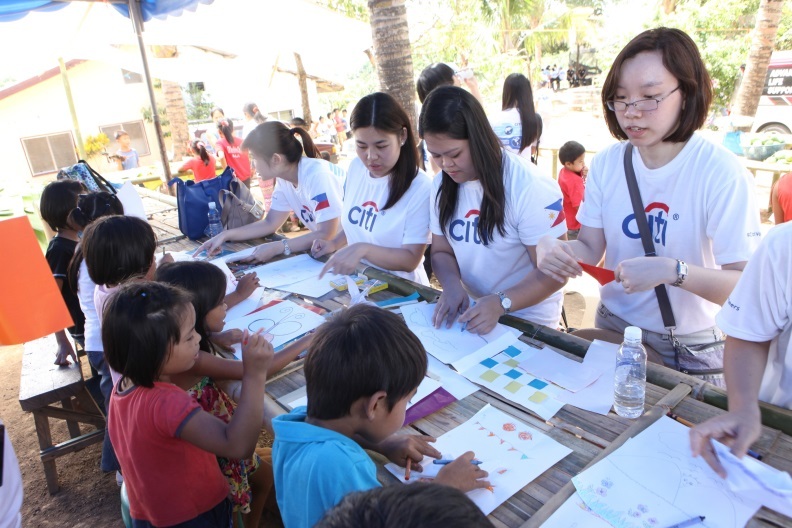 Last May 17 and June 7, around 900 Citi employees together with their families participated in various volunteer activities in GK sites to celebrate Citi’s annual Global Community Day in the Philippines. Two activities happened simultaneously last 17th of May in GK Ave Maria in Tanay, Rizal and the GK Enchanted Farm in Bulacan. Citi volunteers flocked to the GK sites, all geared up and ready to do the work set for the day. On the other hand, last June 7, Citi employees went to Tanauan, Leyte to give a helping hand for the survivors of Yolanda by participating in Bayani Challenge. The spirit of volunteerism came alive as they did various volunteer activities such as house builds, school refurbishing, tree planting, and spending time with the kids. Citi has been working with GK since 2006, building houses, enabling children to learn by providing pre-school buildings and a 2-year pre-school program, and now helping the communities lead a life of dignity through social entrepreneurship. 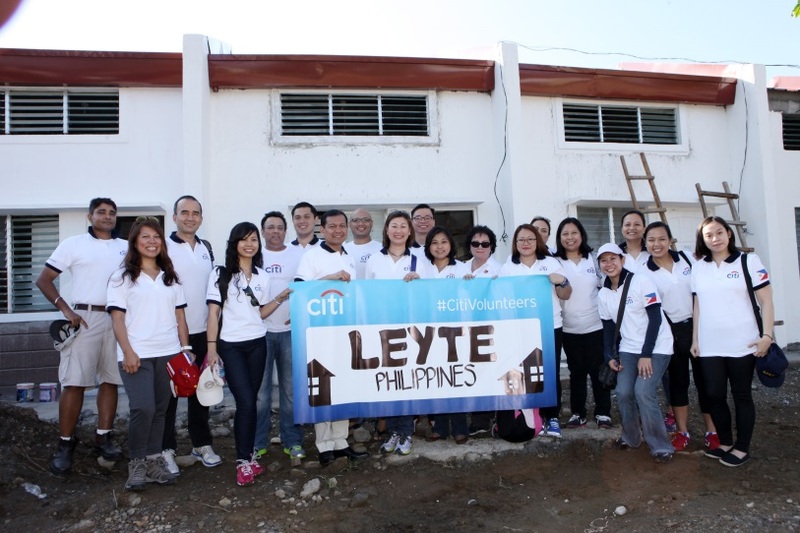 Thank you Citi for being one of our long time partners in rebuilding the nation one step at a time. In GK Ave Maria, Citi employees were divided into two groups. One group was assigned to do tree planting and the other was assigned to do some arts and crafts with the kids in the community. The morning was well spent as volunteers were able to plant 250 guyabano seedlings which is envisioned to provide healthy food on the table for the Kapitabahayan (GK residents), but can also be a source of livelihood as they intend to sell their produce. Simultaneous with the tree planting, the other group of volunteers was able to share their artistic skills to 86 kids in the community as they made paper plate puppets, t-shirt shaped papers and the like. 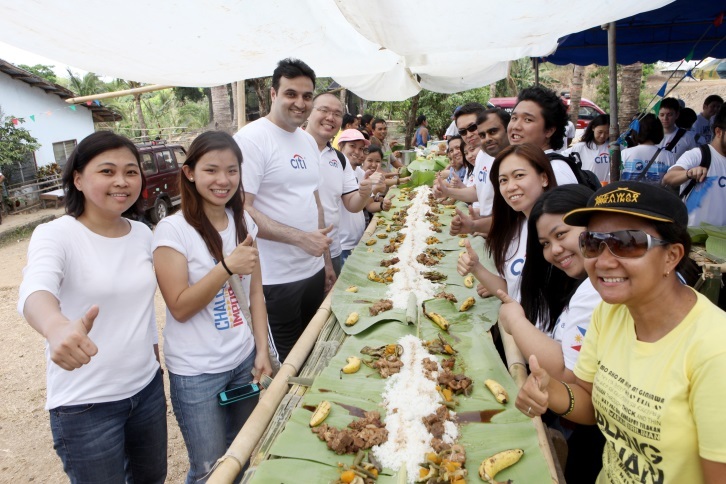 And to cap off a very productive morning, the traditional GK Boodle fight lunch was prepared for Citi volunteers to enjoy. Processed organic goods were also up for sale in GK Ave Maria. This became possible with the help of Citi Foundation as they helped implement and plan a livelihood program with GK for the Kapitbahayans in Ave Maria by developing their skills in agri-enterprises to attain sustainability in their community. 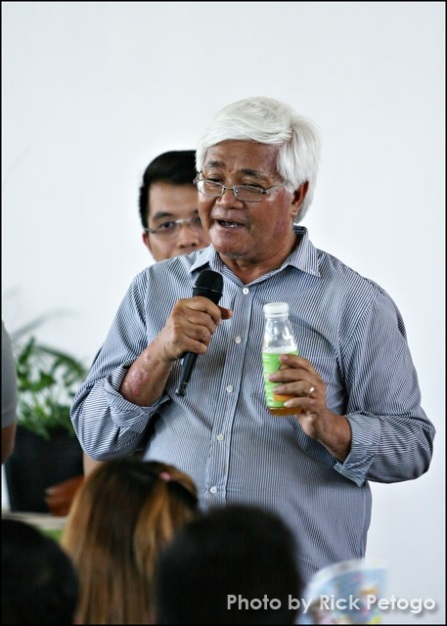 “We’re deeply indebted to Citi Foundation here at GK Ave Maria Village,” Tunay na napakalaki ang naitulong nito dahil sa pagbigay nila ng pondo para sa pagtayo ng mga iba’t-ibang negosyo (They were a great help in providing the seed funding for the establishment of the different agri-enterprises).” said Noli Puig, Gawad Kalinga Head for the province of Rizal. “Citi was with us from the very beginning. 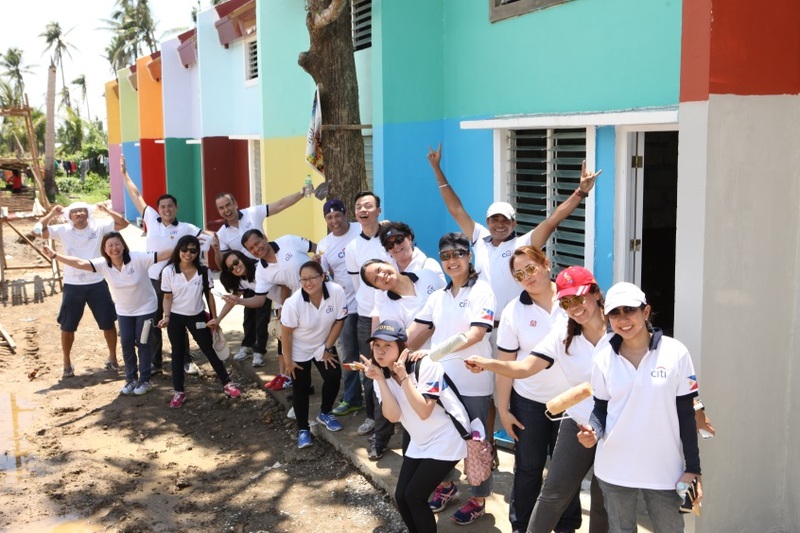 When we were just a small group, it was mostly the work of Citi volunteers that helped us build some of the thriving Citi GK villages in Metro Manila. With Citi’s initiative, we are empowering the poor to help themselves, to help one another because in helping those at the bottom of the pyramid to rise, the entire nation will rise.” This was Tony Meloto’s message to at least 700 Citi volunteers who spent their day tree planting as well and learning about the different social enterprises in the farm that produce cheese, chocolate, and golden eggs, better known as salted duck eggs and Plush & Play products. Volunteers were able to plant 3500 seedlings. These plants will later serve as raw sources for the different products produced at the farm. The experience gave the volunteers insight of the significance of community enterprises in helping communities become sustainable and it also helped them realize that they should be proud of Filipino-made products. Before the day ended, volunteers made sure that they still had time to shop for farm-produced products that varied from bags to organic products to skincare products. 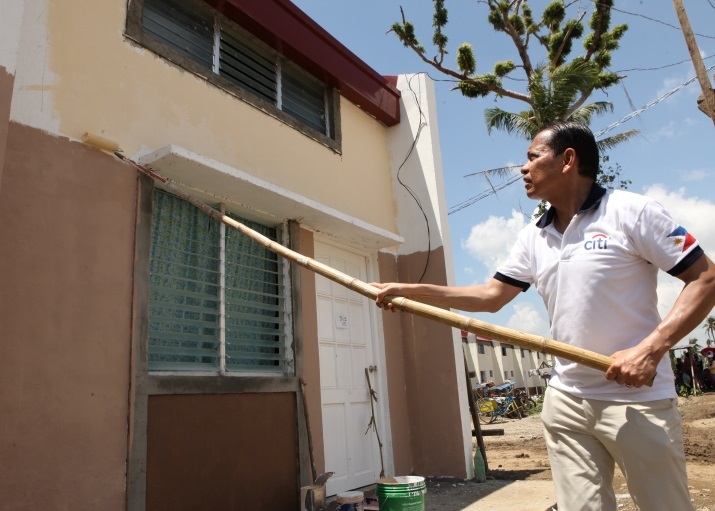 Over at Tanauan, Leyte, Citi volunteers came last June 7 to give aid to survivors of Typhoon Yolanda by painting a row of houses in Brgy. Pago, Tanauan, Leyte. Even Citi’s CEO, Batara Sianturi and the country management team including Consumer Business Manager Bea Tan, Corporate Affairs Director Aneth Lim, and Regional Operating Headquarters Head Deb Connor each had their turn to hold up their paint rollers and give their painting skills a try in order to help their fellowmen in Visayas. Through the combined efforts and resources of partners, volunteers, GK workers and our very own residents, we have made significant headway in our roof repair, Balangay (fishing boats distribution) and housing reconstruction. Like Citi, you too can commit to making a positive impact in the local communities. Be our mission partner - let us collaborate to bring about better and faster ways of ending poverty.